Dicksonia fibrosa is a smaller species of the Dicksonia genus from New Zealand (North Island, South Island and Chatham Island) that looks almost like a miniature of Dicksonia antarctica. It grows in formidably cold areas of New Zealand, at elevations up to 900 metres. The trunk develops rather slowly and attains a mature height of up to 6 metres. It’s fronds closely resemble those of Dicksonia antarctica, but shorter, growing only to a maximum of 2 metres, and even more “plasticy.” The hairs on the stipes do not have quite such a reddish look, but more of a golden-brown. The rachis is a dark brown in contrast to the green rachis on Dicksonia antarctica. The trunk as its species name is very fibrous and quite spongy to touch. Also another way that I have used to determine a fibrosa is to put a frond between your two hands and it will have a more prickly, crispy feel to it in comparision to Dicksonia antarctica. Dicksonia fibrosa is very beautiful and easy to grow. It will do well in a site with morning sun and afternoon shade, but tolerates quite a bit of sun in cool climates such as Ireland and Britain. 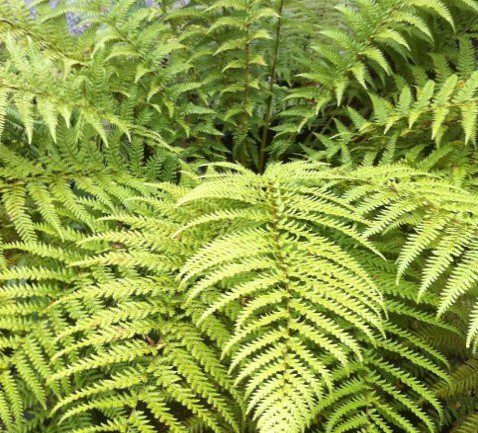 Due to the fronds being smaller than Dicksonia antarctica it is more suitable to the smaller garden or a courtyard setting. This Tree Fern is not quite as hardy as its more celebrated cousin, Dicksonia antarctica. This has been proved in the extremely cold winter of January 2010. However the fronds, in a normal winter, appear more resilient to the cold and will usually last as an evergreen plant right through the winter. They are also quite wind tolerant. Having said that I always place some organic matter, usually pine needles, into the crown over the winter period to protect it from freezing over in case of very low temperatures. 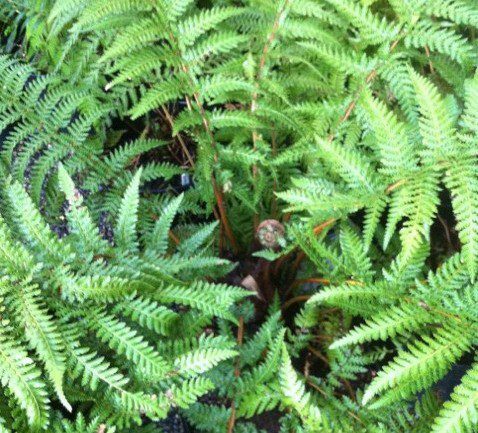 This is the next tree fern to try out if you already have some Dicksonia antarctica and would like to get another species. 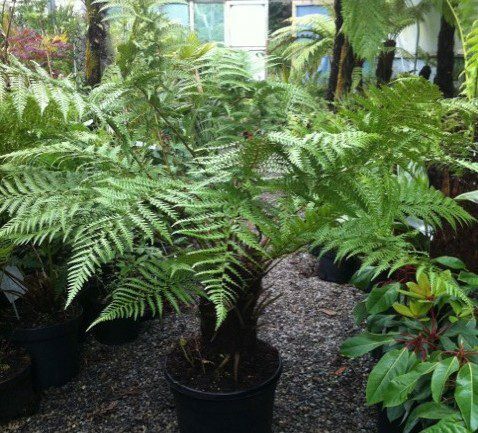 You will be rewarded in time with a stunning tree fern. It will take a number of years to reach it’s true potential though, but worth the wait. Hardiness: Unfortunately many of the Dicksonia fibrosa were lost over the winters of 2010. It will need to be protected over the worst of the winter cold to ensure survival. It is safely hardy to -6 celsius without protection.